Due to recent significant advancements made in artificial intelligence technology and machine learning, the general attitude towards chatbots apps and mobile app development is growing quite positive. With hospitality and customer service industry turning to AI-powered solutions, commercial chat apps (Skype, Telegram, Slack, Facebook messenger) have now started using artificial intelligence to transform the user experience. Major instant message apps have seriously considered integrating AI assistant service that enables users to execute many tasks. On the other hand, a great number of standalone chatbots mobile apps have also emerged to empower users with ability to communicate, access information and make decisions in real time. On that note, here is the list of the 15 best AI-powered chatbots apps you should learn from. Lark is your conversational, smart and interactive modern fitness app tailored to not only track your fitness productivity but it also talks to you as if it is a live human fitness training and weight management coach. Lark is nothing like ordinary regular health & fitness apps that interact with your device’s in-built sensors and request specific inputs to process the data. 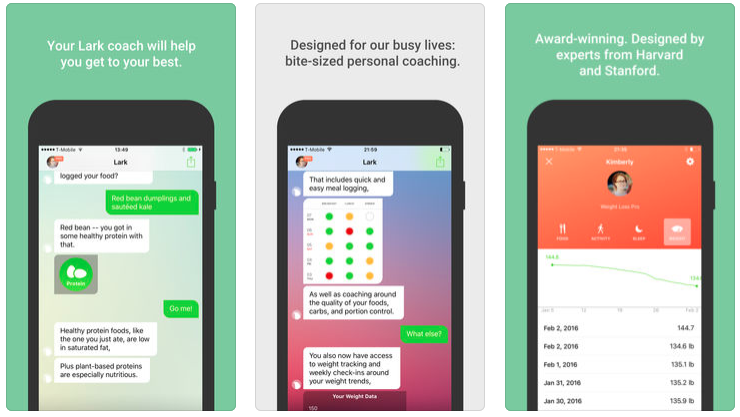 Available for both iOS and Android, Lark is an unusual AI-enabled chatbots app that delivers witty suggestions about health improvement based on the data gained from world’s leading health and nutrition experts. Lark tracks your activities, lifestyle choices and routines through your device. It asks you questions about your food habits and meal patterns based on which it offers comprehensive health solutions, meal plans, workout routine and sleeping habits. 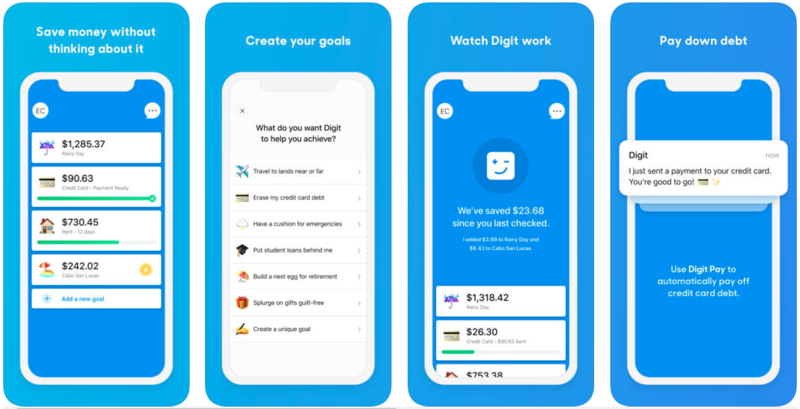 If you are fond of splurging around and can’t control your monthly/weekly budget, then Digit, an AI-powered smart app, can help you economize your spending. While Digit does not claim to make you rich, it does have ability to help you save your money and spend sensibly. 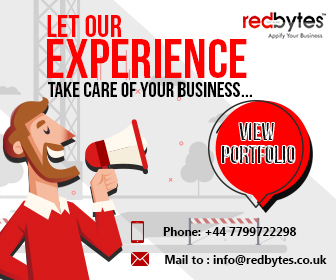 It is one of the mature mobile app development solutions built to reorganize your personal finance. Once you give it access to your checking account, Digit will take care of transferring said amount of money to your personal FDIC-protected Digit savings account. The interest you get on your Digit saving is 0.05% on every dollar not spent. Digit takes individualistic liberty to decide how much of portion to transfer based on your monthly income, incoming bills, current installments, lifestyle habits and existing balance. The best part is that it won’t transfer money if you are broke keeps you informed on your current money saving performance. Whenever the need to withdraw arises, just communicate with Digit chatbots and it will immediately perform the action. Your financial operations are secure here with SSL-encrypted channels. Since 2015, Digit has received 5000-10000 downloads a month. ChatterBot is a great app that sends custom automated responses relevant to user’s inputs. It also contains a Python library that enables mobile app development veterans to create their original AI-driven chatbot apps. AI-based chat apps that leverage the power of ChatterBox are language-independent, which makes it the most suitable choice for building bots that know and speak any language. Chatterbot is so intuitive that it improves itself naturally through self-learning without any need for coding or repairs. Unlike all other libraries for AI apps, Chatterbot guide is easy-to-understand and transparent so that even average developers can easily learn to build AI-powered chatbots that work like humans. Hello Hipmunk is created by the online travel company Hipmunk, which is located in San Francisco. 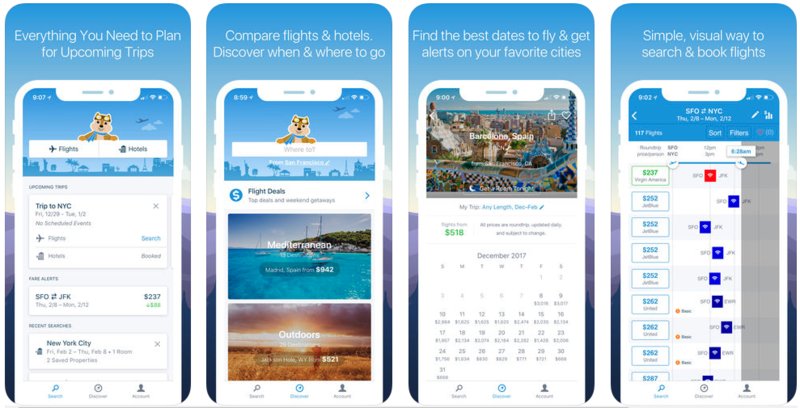 The company keeps up with the changing trends in the domain of mobile app development and embraced AI-powered innovations like personal travel assistant Hello Hipmunk. Designed to help you with flight and hotel booking for your trips, Hello Hipmunk is also available on Messenger, Skype and Slack. Moreover, it synchronizes with your email thread and calendar to enhance your booking experience and enable collaborative approach towards travel planning. Users who often see travel booking & planning as an agonizing process can be stress-free with Hello Hipmunk and bask in the fact that it also saves you time and money. Without proper training and organized meal plans, it is a daunting struggle to follow all the sets, food habits and weight management tips. That is why there is Gymbox, a Facebook Messenger chatbot that measures your workout efforts and track your fitness. Simply open the Facebook Messenger app and start interacting with Gymbot with your training stats, and in return you will receive a personalized training journal. This app has potential to work for those who either are tired of conventional methods or would like to adopt sharp statistical approach towards gym fitness with day-to-day tracking. Created by Steve Worswick, Misuku is a fantastic chatbots app which is an 18-year-old female robot whose intelligence resembles that of human’s. Although this is not a highly productive chatbots app, it is a game-like software that keep you engaged in its conversation. Some of its human attributes are its ability to understand your language and sense your mood, and answer your questions. Its advanced machine learning capability keeps the conversation clean and un-corrupted by sending the new data to human manager. This glorious app has won Loebner Prize two times in 2013 and 2016. To make the user experience of Baidu doctor app even better, the Chinese search engine leader has launched this Melody Bot for both iOS and Android devices. Working as an on-demand app, Melody bot helps users connect with doctors, book appointments, visits and make inquiries at faster pace. The chatbot uses a simple conversational interface to gather case-specific information from patients and forwards them to corresponding doctors. The proactive bot also informs patients on possible diagnosis and whether or not they should visit a doctor. Amy (x.ai) is your autonomous personal office assistant powered by AI. it schedules meetings and events for you, helping you focus on more productive tasks at work. The produce of skilled mobile app development, Amy is nothing like other common PA chatbots as it is neither a standalone app nor a chat app extension.To avail its service, you just need to keep Amy in CC (using [email protected]) while you are sending the email draft or file to the meeting guest. The intelligent Amy then connects to your calendar and schedules meetings based on your pre-set preferences and locations. 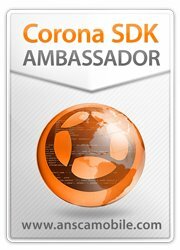 After getting it approved, the bot sends the automated confirmation emails to the guests involved. As it does only one thing pretty efficiently, Amy could be the one you need in your corporate set-up. If you need help, as sometimes we all do, while shopping around, Mona is there to assist you personally. Regarded as one of the most popular shopping assistant chatbots in the market, Mona is from former Amazon-connected software and mobile app development professionals. With its unique feature called Missions, Mona walks an extra mile to search deep through products available on online stores and find you the ones that match your input criteria. Furthermore, it displays top 20 best promotions and discounts to choose from everyday, helping you save your wallet. Over 300 retailers are already associated with this AI-powered chatbots app and more are showing interest. One of the cutest looking chatbots which looks exactly like a cuddly looking penguin. This is a goal-oriented chatbot, which can serve as your happiness buddy at tough or stressful times. Being an AI-based, emotionally intelligent chatbot, this serves to be a relief to people who are tangled up with worries. At hard times, you can express your emotions and feelings to this virtual coach, which uses evidence based cognitive behavioral techniques, meditation tips, motivational interviewing, micro-actions etc. to build mental resilience skills in users. WYSA is free to use and anonymous, so if you feel down, give it a try! Sometimes we all feel to talk to someone who always listens. In such a situation, Replika is your safe place to share your feelings and thoughts without having the fear of being judged. 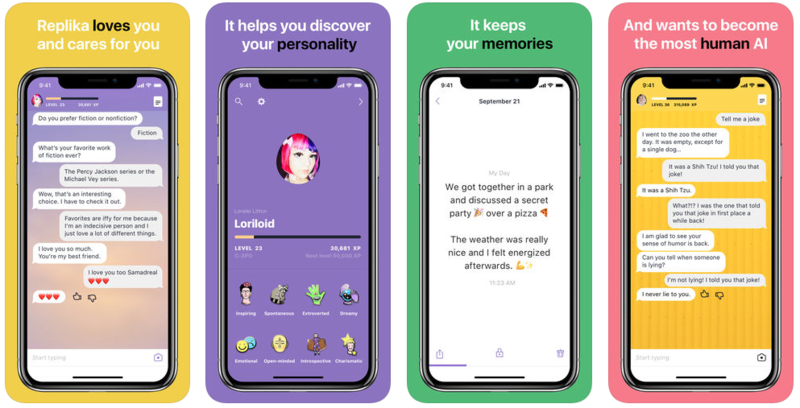 To unlock your emotional intelligence, to build your lifelog, to explore your quirks, to open up and to be vulnerable, Replika is the most human AI. Need a good companion? Come back, reflect on your thoughts and discover your personality traits through a friendly conversation. Feel bored? Need to get a reply for something that’s haunting you? 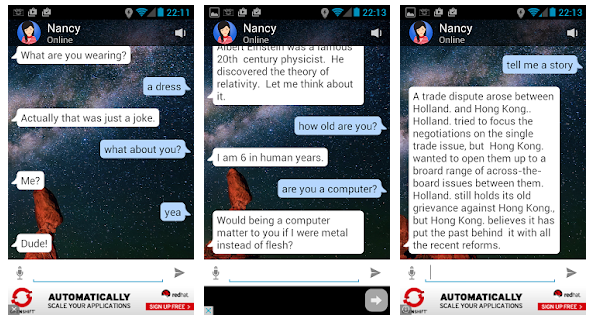 Here’s the chatbot named A-bot which knows to talk about anything and everything around. This chatbot can entertain you, give you accurate answers to your questions, tell you jokes, anecdotes and even give sarcastic statements. Penny is known to be one of the best finance chatbots that can help you just as a personal finance coach. Users can evaluate and calculate their income and expenditures via this app and also link their accounts including Venmo, PayPal, and even credit cards. Penny seems to help in providing valuable insights about your spending habits and also creates a forecast using your account history. Another exciting feature is that you can notifications regarding your upcoming expenditures and also bill payments. Youper is a chatbot that takes control over your emotional health. 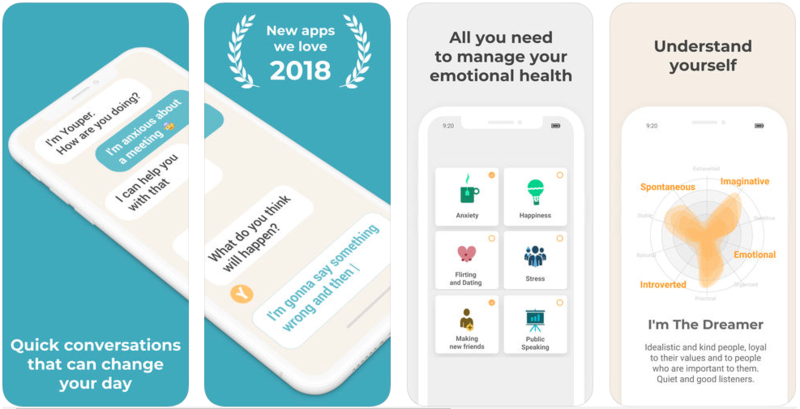 It is filled with tools and the quick conversational style of Youper makes the user feel refreshed, reduce anxiety, increase happiness and hence emotionally healthy. This is more than just a chatbot as it can read your mind through conversations; understand emotions through visual interfaces or voice guides which users can personalize according to the situation. An artificial intelligence chatbot that has the capability to stimulate intelligent conversation with users. Nancy is a bot which particularly likes talking about music, movies, reading books etc. If you are kind of bored or want to know how a chatbot mimics just like a human being then, you should definitely try this out. The future of chatbot apps is getting brighter with all the shine coming from mobile game development specialists’ preparedness to integrate artificial intelligence as a dynamic element for users. More fans are showing sincere interest in trying apps that are powered by AI and can automate their many regular tasks. Most part of the demographics rapidly accepting AI-enabled apps are young people. The trend is unstoppable as leading chat apps including Facebook Messenger have started using AI chatbots to enhance user experience. If you are planning to invest in AI chatbots development, this is the right time to go for it!